For years, we’ve heard the steady drumbeat of those that say it’s imperative to get your Master’s Degree if you want to move up in the public relations or marketing field. There are also many that disagree, saying it’s not at all necessary. I disagree with both schools of thought. It’s not imperative, but it’s also wrong to say it isn’t necessary. Let me explain. Late last month, I was accepted into Purdue University’s Brian Lamb School of Communication for its online master’s degree program. I’m beyond excited to get started and continue to better myself as a professional from a great university. My internal debate about grad school started with a simple question: “Do I WANT to go or do I NEED to go?” And that is the question you should ask yourself if you are considering the same. The argument that it isn’t necessary, or that you shouldn’t go is silly and antiquated. This isn’t me saying to you that you MUST go for your MBA, Master’s in Communication, etc. This is me telling you that it is YOUR CHOICE and not someone else’s to make. I went back and forth for years about whether to get a higher degree. 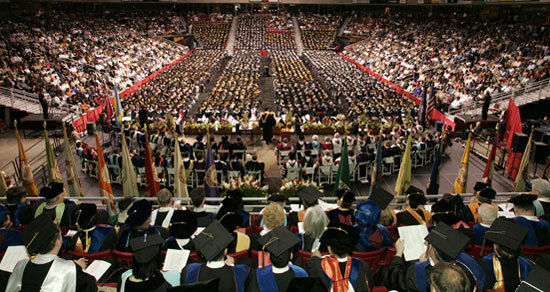 After I received my undergraduate degree from Temple University (yes, I’m #TempleMade), the thought of going back to school was not something I was keen on. However, as I got older, the idea of challenging myself to be more than what I am now became exciting. 1. Research– It’s one of the pillars of public relations, right? Well, I researched a ton of schools and spoke with a number of trusted colleagues and friends. My wife is a professor and she just attained her Ph.D. in July of 2014. So, I had plenty of good information about what direction to go in. 2. How will it help me- Look, it’s ok to be selfish here. You aren’t just going to get a higher degree because it would be great fun. You’ll work hard so that it can help YOU in the long run. Not anyone else. Do it for you. Not for what your boss thinks, your friends, or anyone else. Your name will be on the diploma. 3. 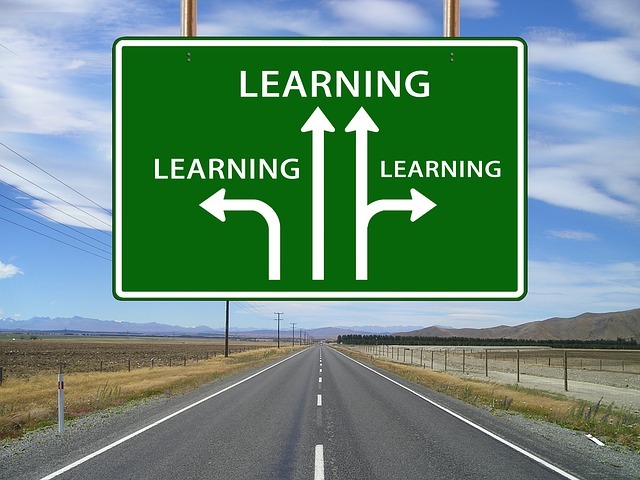 Online or on campus- Since going to campus would be tough with two kids and two parents working, I sought out the highly reviewed online programs. This doesn’t mean you shouldn’t check out what the “brick and mortar” programs offer. I will say that distance programs no longer come with the “Oh, you are doing online?” stigma. My wife earned her Ph.D from the Medical University of South Carolina’s online program , save for a yearly residency week on campus in July. 4. Time- If you can’t commit the time to put in the work, don’t go for your degree. We budget time for clients, social postings, and more. You need to do the same for that Master’s Degree. Once I was accepted, I went into planning mode and created calendar dates. The more you plan, the more time you’ll have to study and focus. 5. Believe- Can you do it? Of course you can. I’ve used this quote from Robert F. Kennedy for years. “There are those who look at things the way they are, and ask why… I dream of things that never were, and ask why not?” From the moment I committed to applying for my Master’s Degree at Purdue, I asked “why not?” Why couldn’t I do this? Why not now? Believe in your talents, skills, and determination and you’ll succeed. Remember, you don’t HAVE TO get a Master’s Degree, or any higher degree for that matter. What you do have to do is listen to what you WANT TO do. That’s what is most important. The JourneyCast Podcast is back and I’m thrilled to welcome my friend and fellow Temple University graduate, Jessica Lawlor. It’s no surprise that Jessica has become one of the more respected pros in our industry because of her drive, honesty, and work ethic. If that’s not enough, she’s also the driving force behind the “Get Gutsy” movement. On this edition, we’ll talk about that, as well as how she’s been able to have success so early in her career. Enjoy! To listen to the podcast, click this link. On Oct. 26, I’ll be speaking at PRSSA’s National Conference in Philadelphia, Pa. (Cue the Rocky theme!) 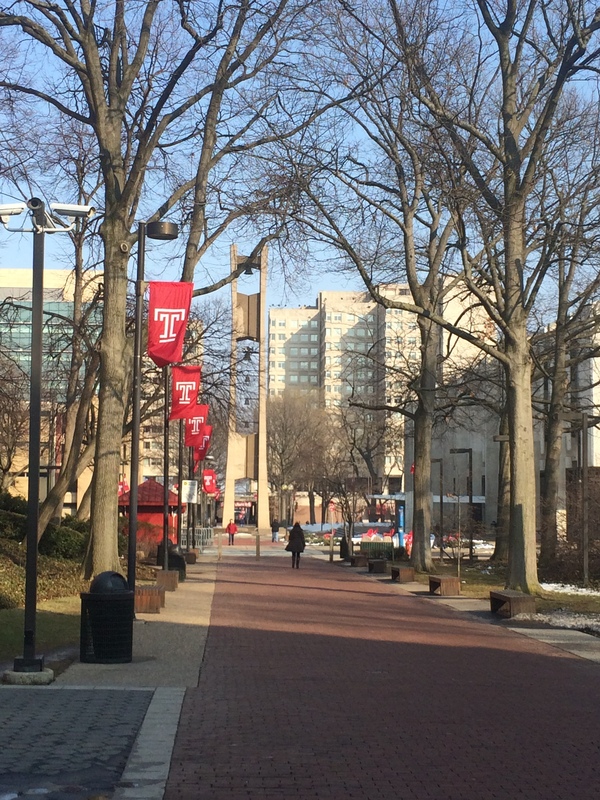 It’s an incredible honor to be back in the city where I got my degree (#TempleMade) and my first job. The title of the talk is “The CEO of You,” which focuses on personal branding. Whether you are a freshman, graduating senior or new professional, your brand online is extremely important. Here is my latest Thursday Thought on doing a personal audit as part of your brand. How are you checking yourself weekly, monthly, or quarterly? Let me know in the comments. One of the worst feelings in the world is having a setback. It puts doubt into your mind and makes you feel miserable. My colleague -and fellow Temple alum- Jessica Lawlor has a great e-newsletter that you can subscribe to on her website. I hope that no matter what you may be going through in your personal life…despite whatever challenges you’re facing or whatever hardships may be thrown your way, that you can find a little ray of sunshine somewhere in the mess. I hope that when you find that little spark of light, you’re able to hold onto it and know that better days are ahead. Today’s Monday Minute is a way to show you how to turn clouds into rays of sunshine. How do you move forward? Let me know in the comments. Six months ago to the day, I put on my new Macy’s clearance rack suit, smoothed my hair, double-checked my briefcase for all the basics and took a deep breath as I walked confidently into the next phase of my life – the start of my post-graduate career. The all-nighter study sessions, thousands of draft edits and hundreds of internship hours… everything I worked for in the past four years had finally paid off. While getting here had not been an easy feat, full of dozens of applications, gallons of coffee and the occasional mental breakdown…with hard work and determination, I secured my dream job working as a public relations specialist at the largest animal protection organization in the country. It takes time. You know the old adage, “Rome wasn’t built in a day?” Well, there’s actually a lot of truth to it. I’m not sure why I thought I could leave my first day of work knowing everything and being able to do everything – but I did. When it came time to submit my first press release to my director for review, my stomach was in knots. I remember apologizing in the email… something along the lines of, “Here is the release for your review. I’m sorry it’s not perfect!” I’ll never forget her response: “Niki, I don’t expect it to be perfect… nothing ever is. You’re still learning.” Sometimes you just need to remember that all of your colleagues who have been there for years started off exactly where you are and eventually they grew, too… with time. You’re going to make mistakes. Probably more than you’d like to admit. But that doesn’t make you a failure – it makes you human and it teaches you lessons you might had otherwise never learned. I’m a firm believer that it’s not the mistakes themselves, but how you handle them that really defines your character. You can cry and hope the mistake goes away, or you can take responsibility and fix it. I’ve sent out releases with a typo, or hit send too soon. I mean, in my first month I accidentally called a reporter in Seattle at 6 a.m. (I forgot about these things called time zones) and woke her up. Not my shining moment. While I was horrified and for a few brief moments thought, “Okay…surely this is the one to ‘end’ my career,” I instead found ways to resolve each problem and instilled practices that would prevent them from ever happening again. Because that’s the thing about mistakes – it’s okay to make them occasionally, so long as you never make the same one twice. You have a voice – don’t be afraid to use it. I’m fortunate to work with a team of highly accomplished and talented professionals who have been honing their craft for many years. So naturally it was a bit intimidating to call these people my colleagues because in comparison to their experience, I felt way out of my league. Remember you were hired for a reason. Yes, your co-workers may have been in the industry for a decade and have a great deal they can teach you, however don’t discount the skills and knowledge that you can bring to the table as well. Sometimes it’s your lack of experience that can be your greatest asset as you’re able to bring fresh perspectives and innovative ideas that may have never been considered before. Don’t be afraid to share your ideas and opinions – it will only make your team that much stronger. At the end of the day, the most important thing you can remember is to believe in yourself. Believe in your talents, your knowledge and your skills – because this opportunity didn’t just come to you; you created it. 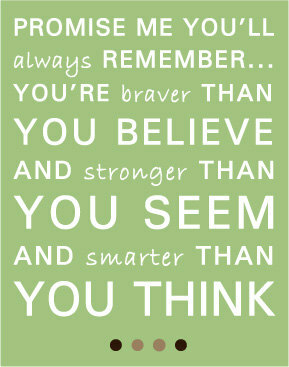 Never lose sight of that. Niki Ianni is a recent Temple University graduate where she majored in strategic communication with a concentration in public relations. At Temple, Niki served as the former director of PRowl Public Relations, Temple’s first student-run PR firm and was an executive board member for Temple PRSSA. She now resides in the Washington, D.C. area where she works as the public relations specialist for The Humane Society of the United States. Follow her on Twitter @NikiMIanni or read her blog at www.whenthegirlmeetsworld.wordpress.com. Last weekend, I had the opportunity to attend a wonderful and informative public relations event in Philadelphia. 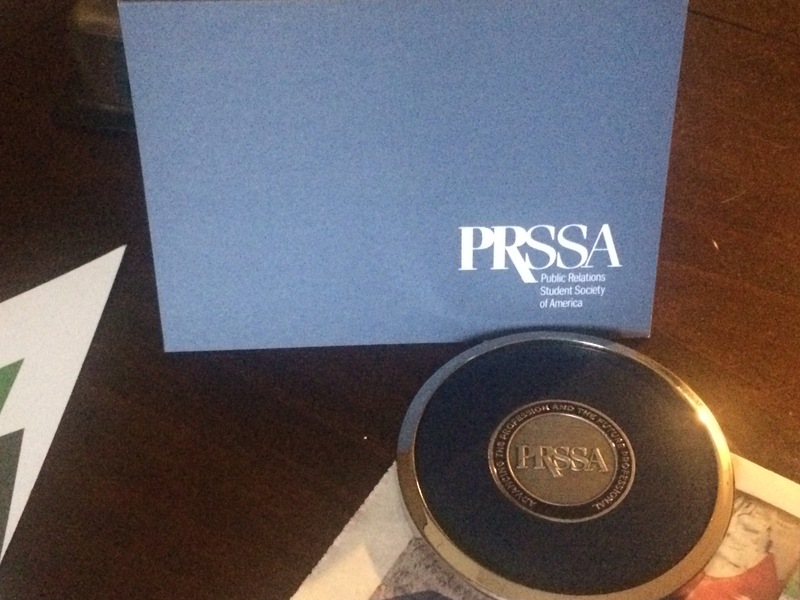 Drexel University’s PRSSA chapter was selected by PRSSA National to host a regional activity called Bizarre PR. One of the most interesting sessions I attended was about crisis PR. The session was led by Southeastern Pennsylvania Transportation Authority (SEPTA) Chief Press Officer, Jerri Williams. 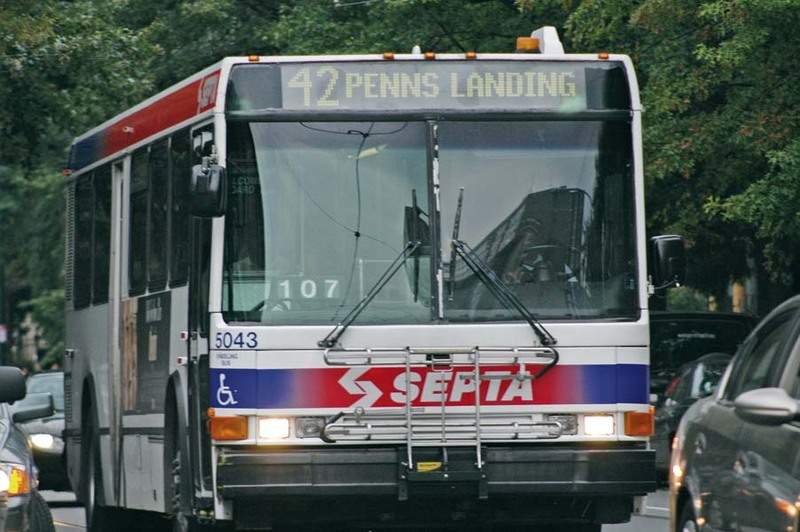 For those familiar with Philadelphia, SEPTA is our form of public transportation whose trains, subways and buses serve more than one million commuters a day. Crisis PR is something that Jerri Williams deals with on a regular basis. In November 2009, three crises struck in the same week. November 2, 2009: At 3:00 a.m. SEPTA’s union went on strike leaving several commuters frustrated that day when they left for work. The strike lasted six days. November 4, 2009: A major fire broke out on SEPTA’s regional rail, the only form of transportation not disrupted by the strike. November 5, 2009: A SEPTA employee was killed by a train. Wow! What a bad week for SEPTA…Jerri Williams outlined her tips for dealing with crises. The media always needs a good guy and a bad guy. Know who these “people’ are before speaking with the media. Williams also introduced us to the art of putting together a press statement. She suggested using a press statement when your company does not want to elaborate or entertain questions. She described it as a tool to use, “when you really can’t say anything.” Williams said that it’s important to display empathy, be sure to say that you’re determined to make things right and share the concern of the public and the media. In addition to sharing her crisis PR tips, Williams told us about four fatal fiascos when communicating during a crisis. Have you ever dealt with a PR crisis? How did you handle it? What are your crisis PR tips?